We Have Opened our NEW Webpage today! Please join us at The Cheap to continue receiving news on great deals and freebies for Kindle! It is August 1st! Here are your NEW 100 books for 3.99 or Less! These titles and many more will have special pricing for the entire month of August! Happy Reading! I will be back in about an hour with more posts! Must go work some of our Facebook pages first. Happy Monday Morning! The Big Deal is back! Shop for more than 400 Kindle books available for $0.99, $1.99, $2.99, and $3.99. 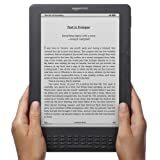 Books can be read on Kindle or one of our free reading apps, but hurry: these deals expire on June 24, 2012. Titles may have additional territory restrictions, and not all deals are available in all territories. Billy Bones…releasing soon from David H. Burton! Giveaway CLOSED! Our friend David Burton is releasing a NEW book and he’d love to celebrate here on the Cheap with all of you! David will give 25 .mobi copies away to celebrate this release! Comment below, telling us why you love David’s work or why you love great books for kids ages 9-12 for your chance to be a lucky winner and get a copy before it hits Amazon! *Please realize, if you are chosen, that David is giving you a file that is compatible with your Kindle. You will need to load it onto your Kindle to read the book. Finding himself in the Afterlife, ten year old Billy must wait to be recycled back into the Livingworld. Meanwhile, he’s stuck trying to figure out how he’s supposed to survive in this backwards existence where sunlight burns, the dead are living, and the memories of his past lives are stored in a secret book. The problem is that Billy’s has been stolen, and now he has to find it and discover why the dreaded Reaper is after him. Choose for Billy and help him find his way through the Afterlife in this new “Choose-Your-Own-Demise” novel. Harry Potter in Lending Library starting June 19! Harry Potter in the Lending Library! Today ONLY! Get DX with cover for $299! Kindle DX with Black leather cover $299, regular price $419! This Mother’s Day, save $120 when you purchase a Kindle DX and an official, Amazon-designed black leather cover together. With a large, easy-to-read 9.7″ E-Ink display that reads like real paper, adjustable font sizes, and space for up to 3,500 books, Kindle DX is the ideal e-reader for Mom. Kindle DX is easy to use, with free 3G wireless (with no monthly payments or annual contracts), so Mom can shop, download, and read right out of the box. No need to worry about Wi-Fi connections, passwords or internet charges. This offer is valid today only, May 2, 2012, on orders shipped and sold by Amazon Digital Services. Offer good while supplies last. Terms and conditions apply. For KotC, Tammy Raleigh! Tammy rang up 723 points and made a deal with her husband that garnered her more book money! Way to go Tammy! She will be receiving a $25 Amazon gift card from the Cheap! And for Cheap e-Reads…it is Marie Davies! Marie finished with 690 points total. We enjoy her company and her support daily at the Cheap. Marie will get a $25 Barnes and Noble gift card from the Cheap so she can overload her Nook! Congratulations ladies and THANK YOU! Please respond in the comments so we can verify and arrange for your cards to be sent out ASAP! Give Your Child A Free Kindle Book Day! $47 value if you get them all! Fill up your Kindle and get your children reading this summer with these books, free on Kindle only on April 19 during the Give Your Child A Free Kindle Book Promotion. The list includes picture books, middle grade novels, and young adult books spanning a range of topics from sports, to paranormal, to historical, to educational. Selected books include the Florida Historical Society’s Best Children’s book of its year, books that have been recommended in Best Books for Young Teen Readers Grades 7-10 and in an edition of Children’s Book of the Year compiled by the Child Study Children’s Book Committee in New York City, and a finalist in the Valley Forge Romance Writers Sheila contest and in the Florida Romance Writers Golden Palm contest. We also have two bonus books which will be free on that day and can be downloaded in the e-book format of your choice. The authors in the promotion have been published by houses such as Scholastic, Dell, HarperCollins, Simon Pulse, Avon, E.P. Dutton, Millbrook, Lerner, and St. Martin’s Minotaur, and have written for Broadway, to name a few of their accomplishments. Don’t miss this one-day exclusive offer to give your child an e-book ,or many e-books! Adult readers will find much to enjoy on this list as well. Time to Get Ready, Bunny! The following group of titles is for teens and young adults (YA). When we note “older teen and young adult/young adult” that means subject matter or content may not be suitable for those under 17. Don’t miss the free bonus books listed below, compatible with many types of e-readers! For THE YOUNGER DAYS, go to the link and use the buy code “MH2244YD” at checkout. Win the Mom 100 Cookbook! Winner has been chosen, check your email inbox and junk mail box! Introducing the lifesaving cookbook for every mother with kids at home—the book that solves the 20 most common cooking dilemmas. What’s your predicament: breakfast on a harried school morning? The Mom 100’s got it—Personalized Pizzas are not only fast but are nutritious, and hey, it doesn’t get any better than pizza for breakfast. Kids making noise about the same old lunch? The Mom 100’s got it—three different Turkey Wraps, plus a Wrap Blueprint delivers enough variety to last for years. the kitchen while proudly keeping it homemade—because homemade not only tastes best, but is also better (and most economical) for you. The Mom 100 is 20 dilemmas every mom faces, with 5 solutions for each: including terrific recipes for the vegetable-averse, the salad-rejector, for the fish-o-phobe, or the overnight vegetarian convert. “Fork-in-the-Road” variations make it easy to adjust a recipe to appeal to different eaters (i.e., the kids who want bland and the adults who don’t). “What the Kids Can Do” sidebars suggest ways for kids to help make each dish. Comment on this blog post ONCE as your entry! This contest will remain open until Midnight EST tonight and the winner will be selected and contacted before Midnight EST tomorrow, April 16, 2012. Open to US residents only. This contest is not sponsored by Facebook or Amazon.